I've written many times about why I started ghostwriting more than a decade ago. One of the primary reasons is simple--the demand for ghostwriters. The market is strong, and continuing to grow, and that's good news for ghosts. But what about the would-be book author who wants to hire a ghost? If that's you, what should you ask? You can post an ad on craigslist and you'll be inundated with responses, but how do you actually decide who to hire? 1. How many books have you ghostwritten or coauthored? Generally, the more experience the better. 2. How many different publishers have you worked with? Again, it's nice to have a ghost who has written with a half-dozen publishers, or more. Every editor and every house is different, so a ghost who has worked with different ones has more experience pleasing different editors--and meeting their requirements--than someone with less experience. 3. What types of books have you ghosted? If you're planning to opt for POD, it makes sense to hire a ghost who has written books published by POD companies. An experienced ghost can also advise you on the right publishing package to buy from a POD company--and which things, like YouTube videos costing thousands of dollars to help "promote" your book, you're better off skipping. 4. What kind of work can your ghost perform for you? Can he conduct interviews and background research, if you need him to? Can he find studies? Does he know how to interpret research in your field? 5. How much does he charge? I've seen a trend (disturbing to a ghost like myself) of clients wanting to pay as little as possible for a book. Well, you get what you pay for. 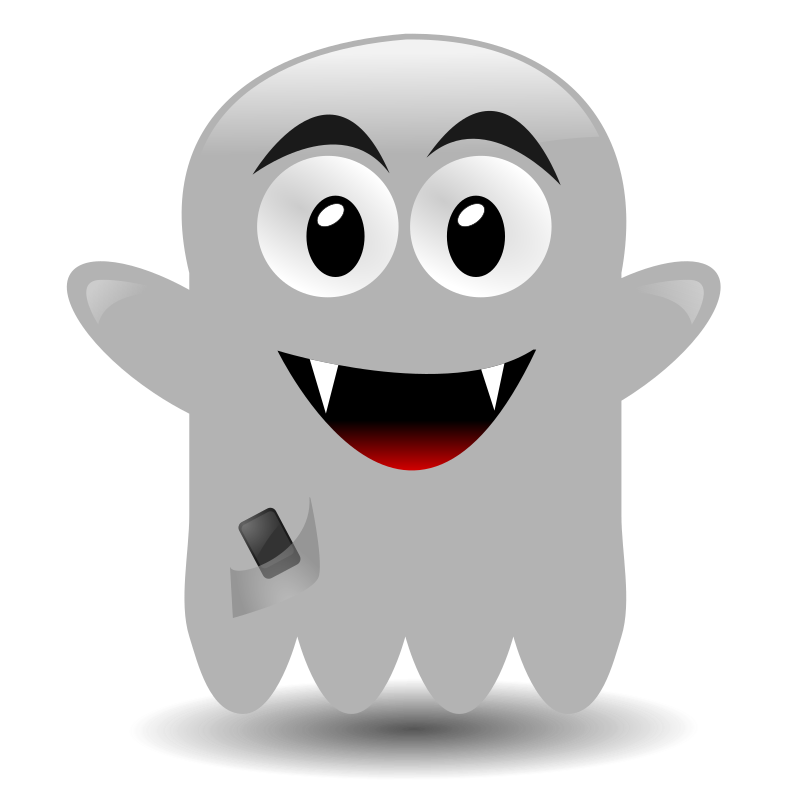 Depending on the scope of work, ghosts typically charge in the range of $10,000 to $45,000 to ghostwrite a book. If you think you'll find someone who will do it for significantly less than that (and forget about working for a "share of royalties" or some other nebulous promise), you can expect less-than-professional work. 6. Can he show you samples? While your voice is unique and a ghost will capture it, it is helpful to see books that he's ghosted before. Ideally you want him to have experience writing in your genre or about your specialty. 7. What's his background? One of the reasons I ghost books about health and wellness, fitness, and nutrition is because I've been writing about those subjects for more than 17 years. I'm a personal trainer and I know much more about fitness than the average writer--that gives me a leg up on a ghost who's just as experienced, but in different areas. 8. Do you "click" with this person? Your ghost isn't just a writer--he's a partner to help your book come alive. You should feel comfortable talking and working with the person--if you don't "click," I'd continue searching for the right ghost for your project. **Kelly James-Enger ghostwrites books for a variety of clients, primarily those in the health, fitness, wellness, and nutrition fields. She's also the author of Goodbye Byline, Hello Big Bucks: Make Money Ghostwriting Books, Articles, Blogs and More. 1.You cannot save enough money. Okay, I don't mean this literally. What I do mean is that you should save as much as you can. I saved six months' worth of living expenses during the year that i was freelancing part-time (and still working 40+-hour weeks as a lawyer), and trust me--I wish I would have saved more. Aim for at least six month's worth of living expenses--and pay down your debt (credit cards, car payments, student loan payments) as much as you can while you're still employed. 2. It will take you longer than you think to get assignments. Unless you've built up a stable of regular clients already, you'll spend much of your time as a new full-time freelancer pursuing clients and assignments. And all that marketing takes a lot of time. Yes, you can pitch like crazy, but you can't make editors assign work to you any faster. 3. Corollary to #2: It will take you longer than you think to get paid. After you actually get an assignment, you have to complete it to the client's satisfaction. Then you get paid...sometimes eventually. Getting paid 30 days, even 45 after acceptance isn't unusual, so recognize that while your accounts payable may be sizable, you can't control when they're collected. 5. You'll doubt yourself. Making the transition from relying on a regular paycheck to to freelancing is stressful. After a week or two of continual marketing--yet no assignments--you may be waking up every morning filled with dread. Recognize that this kind of emotional up-and-down (mostly downs) is part of being self-employed. Focusing on what you can do--searching for clients, sending out targeted queries and letters of introduction, honing your skills, and spreading the word about your freelance work--will help buoy you when you're feeling scared, or anxious, or full of self-doubt. This isn't meant to dissuade you from freelancing full-rather--rather, it's to help you succeed as a freelancer, both in the short- and long-term. Next post I'll talk more about making the transition from part- to full-time. **Six-Figure Freelancing: The Writer's Guide to Making More Money, Second Edition is a freelancing classic that helps both new and experienced writers boost their bottom line; it's a great tool to help you go from part- to full-time. My newest book, Goodbye Byline, Hello Big Bucks: Make Money Ghostwriting Books, Articles, Blogs and More, Second Edition, shows writers how to break into the ghostwriting/content marketing field. And if you're brand-new to freelancing, I recommend Dollars and Deadlines: Make Money Writing Articles for Print and Online Markets. It walks you through 10 actual articles for different markets; how I pitched, researched, and wrote them; and includes advice on contracts and building your business from scratch. Today's post was spurred by a question from a brand-new freelancer. He asked what one piece of advice I would offer to new freelancers. Pitch a market you know. When you're a new freelancer, you don't have clips or connections yet. What may set your query apart--and lead to your first assignment--is your knowledge of the publication you want to write for. First, pitch an idea that will fit with that market. Make sure that it's the type of story the publication would run--and that it hasn't been covered in the last few issues. Then, showcase that knowledge in your pitch by saying something like, "Interested in this for your 'Breaking News' department?" Or, "I enjoyed your recent piece on ways to cook with beets, injuries, and plan to take a similar approach with my piece on rutabagas." You're letting the editor know you've studied her market--and editors love that. That's how I got my foot in the door as a newbie freelancer--and it will work for you, too. **If you're brand-new to freelancing, I recommend Dollars and Deadlines: Make Money Writing Articles for Print and Online Markets. It walks you through 10 actual articles for different markets; how I pitched, researched, and wrote them; and includes advice on contracts and building your business from scratch. Six-Figure Freelancing: The Writer's Guide to Making More Money, Second Edition is a freelancing classic that helps both new and experienced writers boost their bottom line. And my newest book, Goodbye Byline, Hello Big Bucks: Make Money Ghostwriting Books, Articles, Blogs and More, Second Edition, shows writers how to break into the ghostwriting/content marketing field. Q: As you know, I’ve written a book on the topic of this class, Six-Figure Freelancing, and I think the title captures readers’ attention. Why did you decide to name your class what you did? A: I've served on two panels with this name in the past 14 years and participated in numerous discussions on listserves. I think the phrase just resonates with small business people (as you know, since you used it for your book!). I also think that the idea of earning more than 100,000 a year on your own represents one of those goals that many of us have. Q: I completely agree with that. So, why did you decide to offer the class? A: I've been speaking about the business aspects of freelancing at the American Medical Writer's Association (www.amwa.org) and American Society of Journalists and Authors (www.asja.org) for years now. Every time people come up to me and tell me how much they learned -- even those who have been in business for years--and often come up to me years after my talks to tell me how it helped them improve their business. I finally decided I had enough knowledge and content to pull it all together and reach a broader audience. Q: Tell me a little bit about your freelance background. A: I have been freelancing for 14 years now, with 100 percent of my clients in the healthcare and medical fields. I write for a variety of audiences, including consumers/patients, physicians and other clinicians, and business-to-business. I have an English degree from the University of Virginia and a master's degree in biomedical writing from the University of the Sciences in Philadelphia. My specialties include most therapeutic areas, as well as writing, speaking, and training on healthcare reform and the healthcare system. Q: Debra, what common misconceptions do you think freelancers have about being able to make a good living, including six figures (and more)? A: Relying on one or two clients; not treating the business like a business (ie, not saving money from every check for taxes and retirement); not taking marketing seriously; not being creative enough with their marketing; not planning ahead; getting caught in a rut and not continuing to grow themselves (and their businesses). Seriously, though, I think of this course as providing them with a good solid foundation upon which they can build their business -- as high as they want. Q: So, what type of writer is the class aimed at? A: It's aimed at anyone who has their own small business, not just writers. I think graphic artists, web page designers, IT professionals, even Realtors could benefit from this course. Of course, I expect the majority will be writers. So . .any kind of writer, regardless of your experience and specialty. One caveat: I'm not going to talk about writing—but about how to build and run a writing business (if that's your business). Q: Anything else writers should consider before signing up for the class? A: I will assign "homework," such as writing a business plan . .. but there's no grade! Also, I'll be setting up a private Linked In group for participants so we can continue the discussion . . .They can also get a discount off one-on-one coaching with me. The webinars will be recorded and available on demand as well as live. **If you're serous about your freelance career, I highly suggest you consider this class as a worthwhile investment. It's one more way to help you take your career from so-so to stellar. And you get a free copy of Six-Figure Freelancing when you sign up! Freelance Limbo: Do You Know How You'll Go? A couple of weeks ago I posted about an offer of several assignments from a (potential) client new to me. Want to know the rest of the story? My potential client assigned me four blog posts, with specific topics, and gave me a word count of 500 words for each; she then asked what I would charge for them. Deadline was four days. I expected each to take several hours, and emailed to tell her I'd be happy to do them for $200/each. That was too high for her; she countered with $50/each, for a total of $200. I offered to go as low as $150/post, but said that that's as low as I'm willing to go for original content. So, I'm out of a $200 assignment, for 2,000 words--of original content. For $0.10/word? Well, I'm okay with ditching that bullet. In the meantime, I accepted three new assignments. One is for 700 words, $1,050, and will require some background reporting and three interviews. The second is for 2,000 words, pays $1,000 and will require significantly more reporting and legwork-but I'm willing to do it for $0.50/word. (Do I wish this market paid a higher rate? Of course, but I can't always control what a market will pay me.) And the third is a short piece, 350 words, for $650, about $1.85/word. It also has a tight deadline and will require some legwork, but I've already starting to pull the research and line up the experts I'll need. So, I can't control how high (or low) a market will go. What I can control is how low I will go. And $0.10/word for original content? That's too low--at least for me, right now. My advice? Know how low you will go--and stick to it. Because if you're saying "yes" to poorly-paying work, you have less time to pursue the better-paying markets--and that will hurt you in the long run. **Want to know more about how to make more money as a freelancer? Check out Six-Figure Freelancing: The Writer's Guide to Making More Money, Second Edition, a freelancing classic that helps both new and experienced writers boost their bottom line. My newest book,Goodbye Byline, Hello Big Bucks: Make Money Ghostwriting Books, Articles, Blogs and More, Second Edition, shows writers how to break into the ghostwriting/content marketing field. And if you're brand-new to freelancing, I recommend Dollars and Deadlines: Make Money Writing Articles for Print and Online Markets.